Ideal for fixing basins, cisterns and other wall mounted pans to solid walls. Sanitary Fixing Kit (2 Pack) is rated 3.8 out of 5 by 4. Rated 3 out of 5 by connie from Good value, a bit short though Good value item compared to others available. 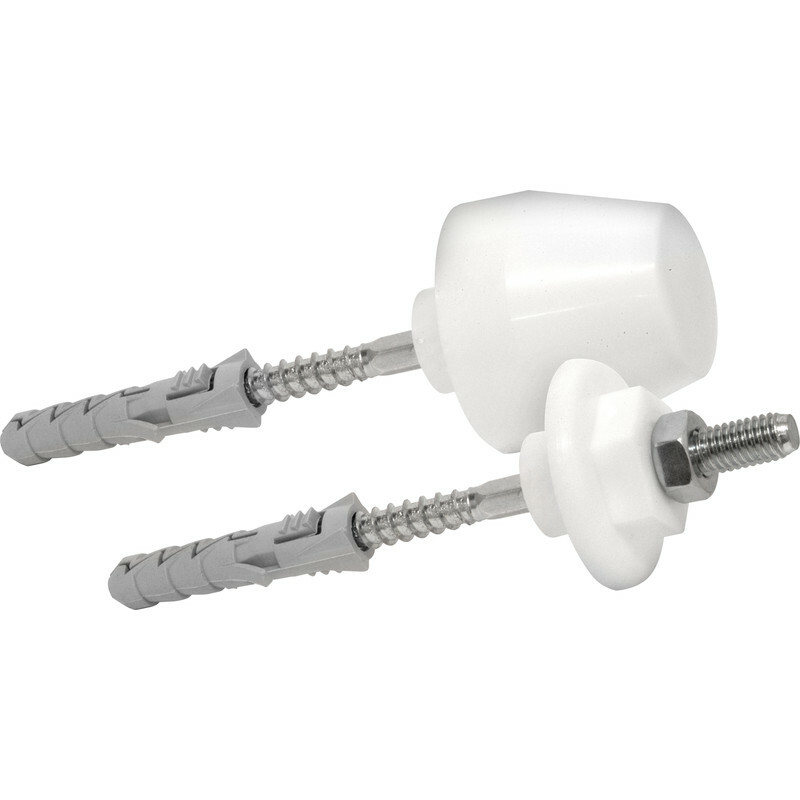 Beware of using the 'flat' spanner area between screw thread (wall) and bolt thread (basin) as a stop point for screwing into the wall/plug, as this won't leave you enough bolt thread to attach to a reasonable thickness china basin. Have had to undo from the wallplug for a cm or so most times I have used these, which leaves the wall grip a little lacking. Using smaller wallplugs may help (DON'T DRILL THE 12mm HOLE FIRST), perhaps 10mm, as the 12mm plugs supplied only just spread enough for a good grip, with the relatively small screw shaft. Rated 3 out of 5 by Patrtime from Fixed sink to the wall Only issue with this kit is that the thread isn't corse enough for a good fixing into wood. Rated 4 out of 5 by Rob W from good strong fixings for Basin These are very good strong fixings for a bathroom basin but first check the length of the thread, I had to saw off the plastic nut piece to enable the metal washer and nut to fit.